"A Son for a Son"
COLD PURSUIT follows Nels Coxman who seeks to avenge his son after he was murdered by the local drug cartel in Colorado. COLD PURSUIT takes a humorous twist on the typical Liam Neeson action flick, but it contains an exceptionally high amount of questionable content, so MOVIEGUIDE® advises media-wise viewers to stay away. COLD PURSUIT takes place in the small ski town of Kehoe, Colorado. Nels Coxman has just received the Citizen of the Year Award for his notable good works in the town. He works with a snow plow everyday clearing the walls of snow for cars to safely pass through. He lives a simple and happy life with his wife and son, who works at the small airport nearby. One night, his son has just finished his shift at work and is beginning to head home, when he’s mistaken for someone who’s badly mixed up with the local drug cartel. He is taken into a van where he is beaten and injected with a needle, later to be brutally murdered. When his body is found and taken to a mortuary, the cause of death is decided to be a heroin overdose. Absolutely distressed by this horrific news, Nels feels this can’t really be true, knowing that his son never used heroin in his life. He has to find out what really happened, and he sets out to avenge his son, by whatever means necessary. Nels starts on a trail of drug dealers, taking out one by one, trying to make his way up to the leader himself. However, when the drug lord finds out that his men are slowly disappearing, he assumes that this is an action done by the Native Americans in Denver. The groups have lived harmoniously together for years, but now, he believes this is an act of war. He arranges for his crew to take out the son of the leader of the Native Americans, having him killed and hung from a traffic sign for all to see. What the two gangs don’t know, is that there is a silent third party that’s been plotting the demise of the black-hearted drug lord. Now with everyone working against each other, Nels has to figure out a way on his own to avenge his son and stop this evil from killing anyone else he loves. COLD PURSUIT is based on a Norwegian movie titled, IN ORDER OF DISAPPEARANCE, directed by the same director, Hans Petter Moland. It takes a humorous twist on an otherwise dark storyline. Movies very similar to this have been made many times before, with Liam Neeson being drawn to them. The actual story feels a bit lacking, with little development or depth prior to the start of the action. There also seem to be elements that feel inserted, just in order for the story to be moving in the right direction. The comical relief is perhaps the movie’s best part. It provides some unexpected, realistic laughs. However, COLD PURSUIT contains an exorbitant amount of questionable content from a negative worldview, to an excessive amount of blood and violence. “An eye for an eye” is a major theme in this movie, or “a son for a son,” as the Native American ring leader says multiple times. Revenge and power are the dominating motivations, and the morality is very relative with characters doing what feels right to them. There’s no mention of a higher power or form of punishment, other than man-dealt justice. The lack of value for human life is concerning, and the personal laws are what is solely governing. Because of these things, as well as an excessively high amount of other content, COLD PURSUIT is abhorrent for all viewers. Strong levels of miscellaneous immorality throughout this movie, many examples of dysfunctional families, a father is extremely hard on his son and teaches him backwards values, father teaches his son that the novel LORD OF THE FLIES will teach him everything he needs to know about life, parents are divorced and share custody of their son but are constantly fighting over how to raise him, a marriage begins to fall apart after the death of the couple’s son, and one day the wife leaves without any word or notice, man begins to attempt suicide by placing a shotgun in his mouth but is stopped, many racist and offensive comments referring to Native Americans, a few examples of kidnapping, the “good guy” kidnaps the son of the antagonist, but the son actually begins to bond with him and goes along with the kidnapping, major themes of revenge throughout the movie, examples of greed, stealing and moral relativism. In COLD PURSUIT, Nels Coxman lives a simple life plowing the snow off of the roads in Kehoe, Colorado. However, one day his son is mistakenly grouped with some coworkers who stole a kilo of cocaine from a local drug lord, so he is kidnapped and brutally murdered. The coroner tells Nels and his wife their son died of a heroin overdose. However, Nels feels in his heart this isn’t true, so he makes it his mission to find out. 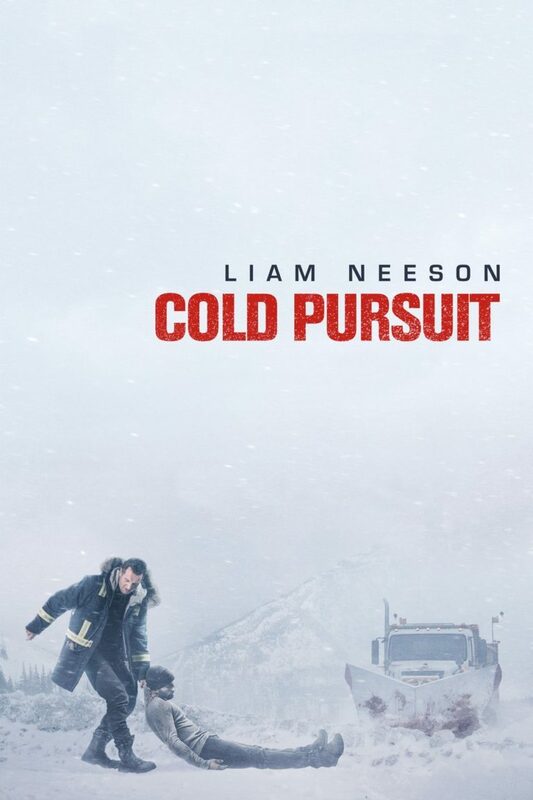 Although COLD PURSUIT contains a higher amount of comical relief than is probably expected, this story has been told many times before, often with Liam Neeson. The actual story feels lacking, with little development or depth. COLD PURSUIT also follows a very humanist worldview where it’s man’s job to punish wrongdoing, as well as decide what’s right and wrong. The moral compass has no clear direction, and the characters are following their lust for power and revenge. Because of these things, as well as an extremely high amount of violence and other objectionable content, MOVIEGUIDE® advises media-wise moviegoers to avoid COLD PURSUIT. Country Singer Carrie Underwood Credits God for the Birth of Her Second Child!